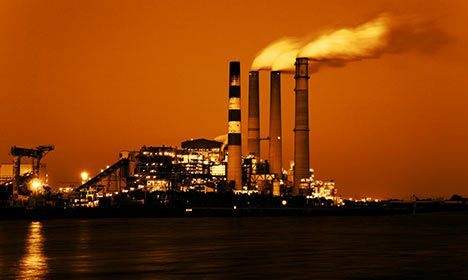 Our range of products for high temperature process industries such as the ceramic tile, glass and metal manufacturing industries is diverse and focuses on process-critical applications where we can bring significant benefits to the end users. These benefits are usually measurable in the form of improved end-product quality, prolonged service intervals and/or increased energy efficiency. For the ceramic tile industry we manufacture the world’s longest ceramic rollers used in tunnel kilns for firing ceramic tiles. The rollers are critical to the process and our ceramic rollers have a high level of stiffness which increases product quality of the ceramic tiles. Also, the longer length enables kiln manufacturers to design kilns that increase throughput and reduce cost per tile. 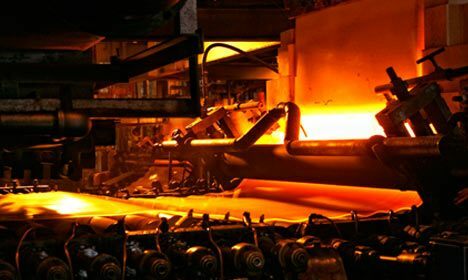 In the metal production area our products can be found in primary aluminium smelters, steel mills, foundries and rolling mills. 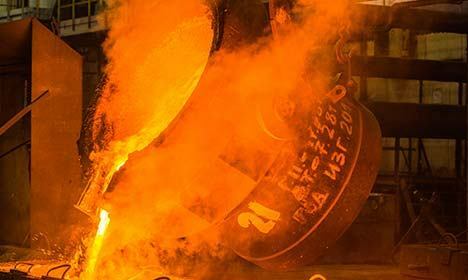 The focus is on safety-critical and quality-critical applications such as gaskets in contact with molten metal, electrical insulators for the high power involved in aluminium and steel making, heat shields and splash guards to protect personnel and equipment and roll coverings to increase service intervals while increase aluminium and steel strip surface quality. In the glass industry we supply our industry-leading roll coverings, FF800, for conveying hot glass ribbons in annealing lehrs in float glass processes. Using our coverings instead of standard stainless steel roller surfaces a higher quality glass can be produced with no marks or micro-cracks while the operator enjoys increased yield due to lower damages to the glass ribbon. Further, the roll coverings provides maintenance free operation which reduces the running costs. 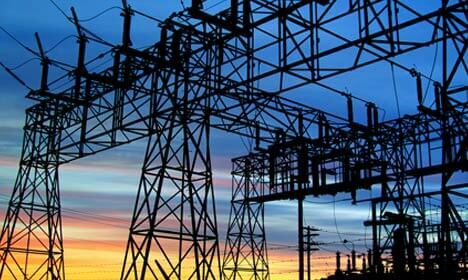 For the energy and power generation and handling industries we offer high temperature electrical insulators for use in circuit breakers and switchgear on nuclear power stations, steel mills, rail networks and more. Our materials are developed to handle the high temperatures and electrical power involved when breaking circuits, whilst also being safe to handle from a health and safety perspective. For this reason they are also used to replace ageing asbestos materials in these equipment. Our range of hot gas filters are capable of removing dust particles from flue gases even in excess of 1000C. Traditionally the flue gases are cooled and filtered through textile membranes, but with our filter elements the gases can be filtered near the emission source and let heat exchangers and downstream equipment work with a clean gas which improves energy efficiency and reduce cost for maintenance. Our elements are used in hazardous waste incinerators, crematoriums, biomass gasification plants for renewable energy generation and more.